We have made it our objective to provide comprehensive legal advice to our clients, to their full satisfaction. We cooperate with international partners and experts from various different legal fields and sectors. This allows us to find the best solutions for our clients, tailored to the interests of the individual. Our primary focus is to advise on matters concerning German-Turkish economic relationships, which we provide in cooperation with our legal partners in Turkey. Our clients include international business and private clients. It is important to us to maintain personal contact with the client, in order to provide the most comprehensive advice. We have more than 10 years of experience in providing legal defence in criminal proceedings. You will find our powers of attorney below, which can be downloaded as a PDF document. For more than 10 years, Attorney Serdar Kaya, together with a team of experts from various fields, has advised a large number of small and medium-sized companies in all legal and economic matters. He has already provided his services successfully to a wide range of entrepreneurs in founding their companies and subsequent litigation. He is on the advisory board of an international parachute company and on the board of a Turkish-German entrepreneurs’ association in Berlin. He was born in Cologne in 1972 and studied law in Cologne. He spent his legal clerkship in Berlin and Cape Town. 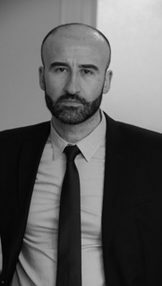 He has been working as an attorney at law in Berlin since 2004 and is a member of the Berlin Bar Association. He has also studied Business Management at the HTW (University of Applied Sciences) in Berlin. Serdar Kaya speaks German, English and Turkish.